Carolrhoda Books (R), 9781512497878, 32pp. Animals can be sneaky. But do you know who is especially sneaky? Undercover ostriches They're everywhere, and they're masters at going undetected. You've probably seen one and just assumed it was another woodpecker or owl. The narrator of this book is on the case, following a single ostrich on his many adventures. 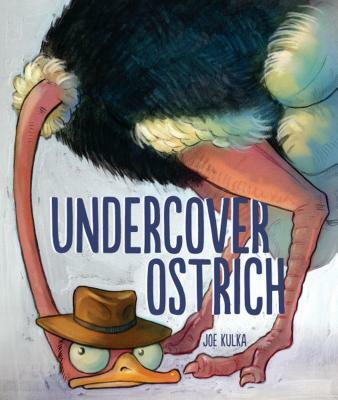 Not until the final twist does author and illustrator Joe Kulka let the readers in on the narrator's true motivation: a peanut collection mission involving undercover elephants.